Girl Guides to tour museums as part of week-long training programme. Sharjah Museums Authority in collaboration with Sharjah Girl Guides delivers ‘The Outstanding Guide’ programme. Sharjah, July 11, 2018: The Sharjah Museums Authority (SMA) has invited a group of youngsters from Sharjah Girl Guides to learn more about the emirate’s museums and historic sites and to discover what it takes to become an expert museum guide. Organised by the SMA, for the 9th consecutive year, the week-long programme ‘The Outstanding Guide’ collaborates with Sharjah Girl Guides with the aim to teach up to 30 girls aged between 8 and 11 years old the important role museums play in the local community and provide them with a fun and educational activity during the school summer holidays. Beginning Sunday, July 8, the youngsters from the junior section of the Girl Guides, known as Brownies, will take part in tours of the SMA’s museums to show them the exhibitions and to explain what it takes to become a successful, informative and engaging museum guide. Training will be provided by the SMA’s museum guides, who will explain the best ways to interact with visitors and how to clearly explain the various displays and exhibitions. During the programme, the Brownies will learn about the important role a museum guide plays in presenting a positive image of the UAE to residents and tourists and the responsibilities, duties and characteristics of a successful guide. Manal Ataya, Director General of the Sharjah Museums Authority, and Shaikha Abdulaziz Al Shamsi, Sharjah Girl Guides Manager, signed an agreement at the launch of ‘The Outstanding Guide’ programme to establish it as an important part of each organisation’s annual summer activities. The Brownies will kick off the week by being introduced to the elements of the ‘Outstanding Guide’ progamme and learning about what it takes to become an expert museum guide. They will also be introduced to museum objects of historical importance from the region that are on show at the Sharjah Museum of Islamic Civilization. The Brownies will also learn about the marvelous undersea world at Sharjah Aquarium and how to recognize and talk about the various species of fish and other sea creatures among other important elements. While at Sharjah Discovery Centre, the Brownies will discover the distinguished characteristics of important scientific pioneers and how to explain the fun and educational activities available to visitors at the centre. Sharjah Archaeology Museum staff will also introduce the history of ancient Sharjah through artifacts from the area and the Arabian Peninsula exhibited at the Museum and help the Brownies to discover the role of the excavation and documentation team. On the final day, the youngsters will give a presentation to their fellow Girl Guides about their project on the museums or a collection that inspired them. Manal Ataya, Director General of the Sharjah Museums Authority, said: “The Sharjah Museums Authority is delighted to sign an agreement with Sharjah Girl Guides for ‘The Outstanding Guide’ programme. 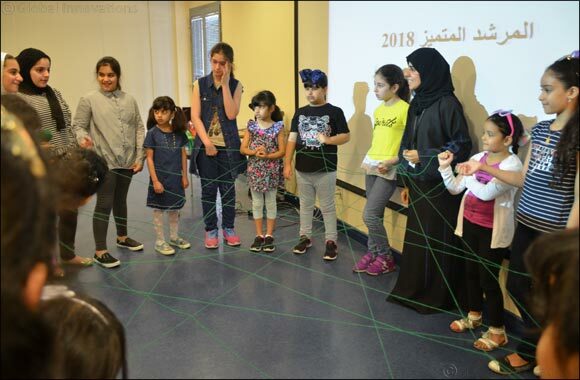 Shaikha Abdulaziz Al Shamsi, Sharjah Girl Guides Manager, said: “This new programme provides the girls with a week full of fun and educational activities during their school holiday.